EnaGames - Finding Theft Car is a new escape game developed by enagames. The story of this game is to find your car from the thief house. Assume that one day your car has been stolen by a thief. Now you have to get back your car from that thief house. 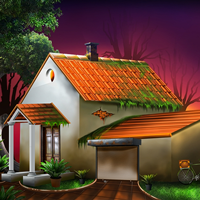 You need to collect appropriate objects and get escaped soon before thief comes back. Click on the object to interact with them and solve simple puzzles. Play escape games and have fun!